Designed with exceptional comfort and performance in mind, Dailies Total 1 are the ultimate choice for a modern, busy lifestyle. Renowned as the world’s first water gradient contact lenses, these daily disposables are a proud creation of manufacturers, Alcon & Ciba Vision. Each lens features a water content of 80% at its surface, while the silicone hydrogel material ensures that your eye enjoys a welcome supply of oxygen throughout the day. Ideal for long days, early starts and late nights, Dailies Total 1 contacts provide a premium lens that you’ll barely even feel you’re wearing. 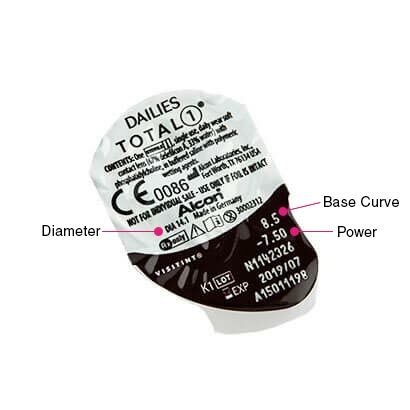 Dailies Total 1 contact lenses retain a wettable surface throughout the day, keeping eyes feeling fresh and hydrated, and reducing the impact that digital screen use, air conditioning and a number of other factors can have. These daily lenses deliver exceptional comfort and achieve high oxygen transmissibility, preventing the onset of dry eyes even as the day goes on. Exceptional hygiene is ensured when you wear these daily disposables, as the protein-resistant structure keeps the lenses clean from morning till night. And by simply removing your lenses each night, and applying a new set the next day, you’ll be sure you’re putting in a clean, hygienic and fresh pair every morning. Save even more when you buy Dailies Total 1 contact lenses in our 90-pack size. 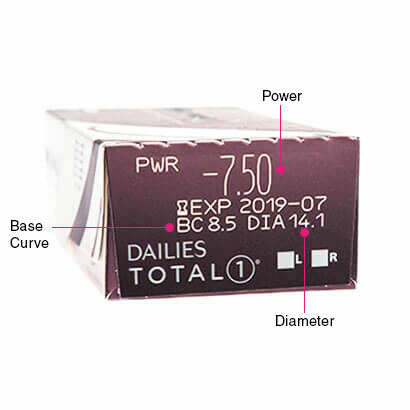 And, discover Dailies Total 1 Multifocal at the guaranteed cheapest UK price. comfi Pure 1 Day are similar daily disposables. Great lenses, great service, unfortunate that you couldn''t change address to have the lens sent to my address but you made amends and they arrived 24 hours later. An unfortunate hiccup and will continue to buy from you. Better than other brands or old versions I’ve used before. My eyes can tolerate them for longer as I have dry eyes. Comfortable and don''t leave your eyes dry and irritated in the afternoon. Great lenses. First class product to your door in 24 hrs. Couldn''t beat it. The lenses are good but often the lenses are creased when I take them out of the saline solution. Also, one of the lenses often have poor focus and have to be binned. These lenses are really good, they''re super soft. Amazing, so light weight and comfortable and excellent vision! Very happy with these contacts. They're pricier but worth the comfort and piece of mind, in my opinion. Dearer than other brands but worth it as I find these the most comfortable to wear. Love these contact lenses - the best I’ve ever tried. It takes a lot for my eyes to feel dry when wearing these! THE best contacts I’ve tried - end of. Had many issues with previous ie monthlies/dailies, these are a different league, far more comfortable. I''m so glad I finally found an optometrist who told me that my brand was an overrated option using decades-old technology. Fantastic service! These lenses are the best! I finally found lenses that are comfortable for very dry and sensitive eyes. I started out with Acuvue Oasys but I just didn’t get on with them. They were uncomfortable and constantly felt like I had a hair in my eye. These lenses restored my faith as I thought I was going to have to resort back to wearing glasses!! excellent service and prices as always ! Love these contact lenses. Some others make my eyes dry but these are great. EXCELLENT. I WOULD RECOMMEND THE CONTACT LENSES TO ANYBODY WHO NEEDS THEM. Best lenses I’ve found and i’ve tried loads as I suffer with dry eyes. No dry eyes with these I can leave them all day with no discomfort. I’ve convinced my husband to go for these lenses too! He’s amazed at the comfort level especially with the hot summer we’ve had. It’s like nothings in your eyes at all, best thing is the amount of moisture! Very good particularly if you suffer fro dry eyes, these are very comfortable. used this site for years - fast and easy! Comfortable contact lenses, very thin, keep eyes moist. Fantastic service. Extremely easy site to place order which was received the following day, even though I live on a Scottish island. 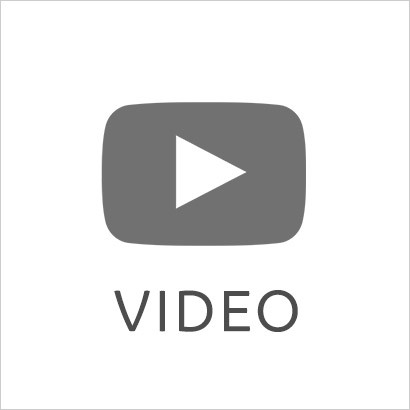 Impressive and much better than other companies I have used in the past. Have upgraded to these contacts. So glad I did. Yes you can get cheaper ones but the difference in quality is amazing. These contacts are far superior. Easy to pop in and much easier to take out. My eyes do no ache after many hours of wear. I would definitely recommend. Have inly ever used these and they work..why change? My opticians prescribed these as my eyes got so dry and irritated by wearing the fortnightly ones. These are great, have a high water content and so comfortable. Bit more expensive, but worth it. Comfortable and stay in your eyes for around 12 hours without fuss. Happy to buy from them online . Quick and easy . Very helpful staff when you call . These are the only contacts that work for me. Comfortable foe alk day wear. Perfect lenses for sensitive eyes. Have been using these for over a year now and very happy which them. Really comfortable. Best daily wear lenses so far! Never dry out even after a really long day. This brand seems to suit me best. Very good contacts. Very comfortable to wear and my eyes do not get dry, not even after 10 hours of wearing them. The most comfortable contact lens I've ever worn, won't wear anything else now. Really good product, delivered straight away at a reasonable price, very happy. I am fairly new to lenses but have tried 4 brands in order to get the best feel. I prefer these as, whilst not the cheapest, they are really comfy and have a tight fit enabling me to take drop for my dry eye problem without them slipping out. I do need to look in the mirror when taking them out though as they are fairly sticky so you want to be able to do it first time. I need high water content lenses and these are the best. Using contacts since age 16 I have tried many different lenses. I''ve got very sensitive, dry eyes therefore the quality of the lenses is very important for me. I can only recommend Dailies Total 1, this is the best so far! These lenses were recommended to me and I must say Feelgood Lenses are the best and cheapest to be found online. I struggle with really dry eyes and these are the only lenses I can comfortably wear. Never used contacts till these, so comfy don’t know they are there. Always used these but they are much cheaper and delivered faster than my high street optician. Great lenses. Perfect as have high water content and very easy to wear. These are the most comfortable lenswe I''ve ever had. You don''t feel like you are wearing them. The most comfy lenses ever. It’s worth the money. I have tried all daily conact lenses and these are the most comfortable. I wear them every day for 10-12 hours and have done so for years without any problems. Love them! These are the best lenses I have ever worn, they feel like you have nothing in your eye, they don''t dry out and they can be worn for a long time if necessary. More expensive that most on the market but better quality. I can wear these for longer than the cheaper versions but eyes can still feel dry. These are lovely lenses, so comfortable to wear & can really tell the difference from my previous lenses. Best price I''ve seen. Great service. Quick efficient service and delivery. Would definitely order again. Wonderful! I have tried a lot of different lenses as I have very dry eyes and these are wonderful. I can ware them everyday for about 6-7 hours! They are the most comfortable lenses I have ever worn (been wearing contacts for 30yrs). You can wear them for really long days and still forget you have them in, no irritation or gritty feeling. I will stick to these from now on. These are great contacts feel really comfortable as I have dry eyes often. Recommend them. Excellent. I have now used Feel Good Contacts for ca 2 yrs and they have always been very fast, reliable and efficient. Excellent and very wet and comfortable to wear. The lenses are wonderful. I recommend them. I have to use a contact lens with a high water content & these suit me perfectly. Been using these for sometime now and they are very comfortable. These lenses to me are the best daily. I have been using these lenses for a little over a year now. They are comfortable, can''t tell I''m wearing them, and the high water content means my eyes are always fresh, no irritation even after wearing the lenses all day and late into the night. Without any hesitation I recommend these lenses. Hassle free ordering, decent pricing and quick delivery. Great lenses that remain comfortable even wearing for long days. Product ordered on the day and delivered next day ?? these are the best contact lenses ive used, dont dry up and feel very comfortable. I''ve been wearing Dailies Total 1 for more than 2 years now. I love the fact that they prevent my eyes from dehydrating. They are the best choice for me because I swim too - they can take being in my eyes with my swimming goggles on. I''ve used CIBA products for decades now. I once changed to Johnson & Johnson lenses for 2 years, but they were not as good as CIBA lenses by a long shot. So I definitely prefer CIBA lenses as a brand and would never change again. Better comfort than other lenses but more expensive so ordere for days I know I will be wearing them a long time. Most comfortable lenses I have ever worn - lenses stay moist for the whole day. Easily forget I''m wearing lenses! Best lenses I''ve ever had. Easy to navigate website. Swift, efficient delivery and great prices! I have been ordering my lenses from Feel Good Contact Lenses for 2 years now and have always had next day delivery, never late, and the lenses have always been perfect. I wholeheartedly recommend them. Fast delivery and cheaper than in store! The feel good lenses are very good. Have been wearing the Dailies Total (1) Water Gradient lenses for over a week now and the difference with these ones means I can wear them every day again, as my eyes have become a bit dry and the old ones were uncomfortable. I would recommend them happily to anyone looking for much more comfortable lenses. Delivery and packaging was prompt and secure. No problems. Quick delivery. Will use again. By far the most comfortable lenses I''ve ever worn. I have been a lens wearer for 25 years and, after switching to dailies from extended wear, have found these extremely comfortable. They aren''t the cheapest but I can''t change now!!! These lenses are the most comfortable I have found for me personally and I have been wearing lenses now for 20 years. No dryness part way through the day and no tearing. Feel like my own eyes. I can use these for long periods without drops and I have prescription dry eyes! Excellent quality lenses. Very comfortable to wear. Best contact lenses I''ve ever used. Can easily wear them for 12 hours and not get dry eyes like my old ones. Very comfortable to wear ,do not dry out like other lenses can. Will be sticking with theses ones and can recommend. The best lenses. Very comfortable. They are excellent lenses particularly as my eyes are dryer than they used to be. Never a problem to put in and I can forget all about them once in. Unfortunately I find them too expensive to use all the time and only use them when i am away from home and don''t want to carry the paraphernalia for keeping my 2 week lenses overnight or when I am going to be having a particularly long day. Changed to these lenses from the Acuvue moist...much better to wear, the lens feels a little thicker but doesn''t dry out the same. One of the more comfortable contact lenses I''ve worn over the years. I''ve even kept them in one night and they''re still fairly comfortable the next day. Have worn these for a couple of years and find them the most comfortable lenses I have ever used. They don''t dry out as much as others. You don''t even feel you are wearing contact lenses anymore. Good contact lenses, although not for I think. Fitting may not be well enough - sometimes the vision gets blurry, after few hours I can feel lenses as if they were too dry. Overall they are alright, but I am keen to try different ones next time. The comfiest daily lenses I have worn, after trying numerous. Just a shame they are quite expensive. Love these lenses. Don''t feel like I''m wearing contacts at all. Lenses are amazing,My eyes dont dry out even after 8-12 hours use. Best contacts I have ever sued and I suffer with dry eyes. Only contacts I can wear without getting sore or dry eyes. Definitely the best dailies available and I''ve tried them all! Excellent, really comfortable to wear - other than being able to see, you can''t tell you''ve got them in! these are the best contact lens I have used but they are rather expensive. great deal for my dry eyes just little expensive compared with others, but worth it. Best contact lenses, brilliant quality. I''d rather spend £45 on these than £5 on cheap ones that irritate and frustrate my eyes alll day. Love these contacts, best I''ve tried so far! These are the best lenses I''ve tried. I often get dry eyes and with these I had no such issue. Switched to dailies total a few months ago. They are so much more comfortable than what I used previously. Good contacts. Some discomfort on the odd one out of the pack but generally as I would expect. A little overpriced compared to some other brands. I am able to wear these all day with very little dryness. Was recommended them when I was suffering with dry eyes and they are much better than the original dailies I was using. Really comfortable compared to others I have tried. Went back to J&J Dailies to try and save some money and realised my mistake so with my new prescription I paid the extra. Only wish is they were slightly cheaper. I''ve used the Dailies Total 1 for several years now. They are great as they get a lot of oxygen to the eye. I swim with my contact lenses in so I require this. They are amazingly comfortable lenses and my eyes don''t feel dry. I prefer these to the Johnson & Johnson Acuvue Moist - which I used for a few years prior to moving to the Ciba Dailies Total 1. I was experiencing very dry eyes but once I used this product my eyes never felt dry anymore. Also it had very fast delivery. Excellent. Price is competitive and delivery is quick. Very reliable and would definitely recommend! good product - have had problems with other lenses but these are great. Fantastic!!! Can''t fault them. I was experiencing blurriness and dryness for months, as I was wearing the rubbish, low-quality ones that Specsavers prescribed to me, thinking these were my only option, but after doing a bit of research I found these and they honestly feel like you''re not wearing anything at all, I often forget to take them out at night because they''re so comfortable. They might be slightly more expensive than competing brands but it''s totally worth the price. Average quality, sometimes they are already broke. Does what it suggests and enhanced my eye colour, however I have found not as durable as my normal everyday lenses. Great for special occasions but after 3-4 hours I found they became uncomfortable. I also threw away more because they didn''t go in successfully the first time/ didn''t transfer well from the pod than I ever have of any other pack of daily disposables, probably about 10 - 20% of the pack! Great to wear for short periods though. comfortable, easy to wear lenses, with good water content. Feel high quality. Great lenses, although haven''t tried them for a really long wearing time. Weird things happened a few times when I couldn''t take out the lense from one eye as it felt like it was stuck on the eyeball. However, I left it be and after about half an hour was able to take it out with no trouble. Other than that, no problems with these, easy to put in. These lenses are very comfortable and I can wear them all day. Best contacts I''ve had. I''ve got dry eyes and I don''t feel as though these are in. Great lenses. Doesn''t dry out throughout the day. I have dry eye, these lenses give me comfort all day long ?? Best contact lenses I have ever worn. SO comfortable I can honestly wear them for 12 hours plus with no problems. The lenses all arrived quickly. Good lenses for all day wear inside an office. Don''t dry out as much as others. These lenses stay comfortable all day. I don''t have any trouble with dry or picky eyes. Would highly recommend after trying many other lenses. Excellent product - wouldn''t use any other. Best contact lenses I''ve worn. Best lenses I have used so far, very comfortable . Tried so many premium lenses in the past after reading how wonderful they are and how you can hardly feel them, always been disappointed as that was never the case, until now. These really are something else, total game changer, the only trouble I had was remembering to take them out as I genuinely couldn''t feel them all day! Can''t recommend these enough! These are great lenses .. Really comfortable. The Dailies Total 1 lenses meet my needs and are comfortable to wear. Very comfortable contact lenses and IMHO much better than Acuvue Moist. The lenses themselves are thicker than the Acuvue, so do not fold over on themselves but rather hold their shape, making them far easier to place on the eye, and ensure they are not inverted. Having had laser surgery on my eyes these contacts seem to be more comfortable than the Acuvue Moist and better able to keep the eyes moist and comfortable for longer. These were recommended by my optician and I agree with him that they appear to be a far superior lense. As the saying goes you get what you pay for! Very comfortable, it really is like not having any lenses in! Excellent product. Comfy and easy to apply. I have worn soft contact lenses for over 25 years, these are without a doubt the most comfortable I have ever worn. They are so soft, that I actually had difficulty getting them out at the end of the day to begin with. All resolved now having had to ditch 25 years of bad habits. Really like them. They''re as pricey as hell but my eyes are more comfortable, and realistically, I will continue to overwear lenses so I need them. The lenses are very comfortable to wear, the eyes didn''t get dry or itchy. Good vision, no distortion. Best lenses Ive ever worn, comfortable from the moment you put them in, can wear all day and into the evening, so good you forget you are wearing them ! Maximum oxygen intake, confortable and healthy! Definitely my choice of contact lens supplier! Really good wearable contact lenses! Changed to these after focus dailies. Only wished I''d done this year''s ago. So much more comfortable and worth every penny. All day wear with no discomfort. Awesome product. I have been using these for years, very good - never problems with them. So far so good, feel more pleasantly ticker / hydrated when fiddling with them compared to my previous one-day lenses. However, I’ve to admit that I’ve never had an issue while wearing Cooper Vision Proclear for many years and I’m now trying Total 1 based on their allegedly superior quality and breathability as I don’t want to compromise with my eyes’ health. I WOULD GIVE FIVE STARS BUT THERE NEEDS TO HAVE SOME ROOM FOR IMPROVEMENT NO MATTER HOW GOOD THE PERFORMANCE IS. Lenses were delivered Ok 5% discount on next order offered for writing a review. Excellent Lenses. I''ve been wearing lenses for over 15 years and recently switch to these after being told to by my optician. I am so glad I did. They are so much better than any others I have worn. Fantastic. First lens I have managed to wear for more than a day. Worth every penny. User friendly website, competitive prices, quick delivery. Best possible product on the market for continuous wear! This site came out the cheapest for these lenses and was quick with delivery.. These are fantastic, but relatively expensive! Most comfortable dailies so far. A very comfortable product that almost provoke no attention when in my eyes. no dry, and actually not that difficult to remove. Just great. Couldn''t really say much more. Good moisture, doesn''t move or dry out. Best daily lens I tried. I love these lenses. I''d almost given up wearing lenses when my optician recommended these and now I''m back to wearing lenses much of the time. No more itchy eyes. Worth the money. Very comfortable to wear. Excellent, comfortable lenses. The only ones my dry eyes can cope with. These lenses are the best for my eyes. My eyes seems to start to reject lenses after every 4/5 years. Dailies total stay in your eye easier, do not dry as quick as Acuvue moist but the Totals are slightly thicker. Saying that you don''t notice it once in. I have found I get about one duff lense out of about 10 days with the Totals. Never got duffs with Acuvue. the best daily lenses I''ve tried (trust me I''ve tried quite a few).. a bit on the expensive side but so worth the money. Better than some other brands I''ve used! Very comfortable lenses, eyes don''t dry out as much as other lenses. I have dry eyes and these are by far the best contact lenses for me. I can wear them all day and they don''t irritate my eyes. Great for dry and sensitive eyes. fantastic lenses, they do cost a bit but for me they are the most comfortable on the market. I was having problems with dry eyes but not any longer now i have theses! Very comfortable lenses. I tried so many lenses in past few years but my eyes are so dry that after wearing of 2-3 hours, my eyes start irritating. And after end of each part, i have to remove lense and use my glasses. But these are so good, i can wear all day. Excellent product. These are definitely worth the extra few pennies especially when working 12 hour night shifts. Good lenses but with a price tag to match. Worth it if you have dry eyes etc. Really good and efficient service. Nice how you are able to save your prescription online. Always a fast turnaround, always the best prices. These lenses are worth the extra money. You dont even realise that you are wearing them! Really good as the eyes always feel fresh and never tired! I would highly recommend these contact lenses. I am a fussy buyer who generally does not go for the cheapest option. For years I was buy 1 Day Acuvue TruEye using feelgoodcontacts. I got a voucher one day and thought I would give Dallies Total 1 a go. Best decision ever. I use my contacts everyday and I found these are more comfortable and reduce tired eyes (especially when using a pc monitor for most the day). I hope this review helps you choose the right contacts for you. I take quite a lot of medication and the optician, in good faith, advised me that mt contact lens wearing days were over. My eyes were too dry and he doubted we would find any lens comfortable. Well, I can wear these lenses for at least 12 hours and can remove them without difficulty.